Our 2015 New Years’ resolution? 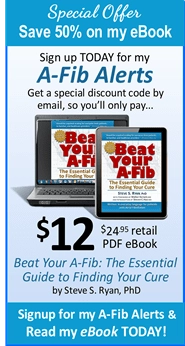 Revamp our A-Fib News page to a blog format. 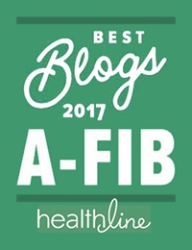 Since our total redesign of A-Fib.com about a year ago, we’ve had a long list of things to learn, new features to add (like integrating video clips) and a major effort to make our website more search engine friendly (SEO) requiring the editing of every single web page. 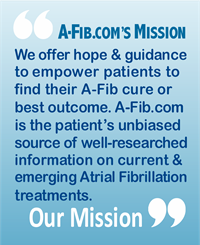 We hope the updated A-Fib News format will bring you more useful content, more frequently, and help you become your own best patient advocate. 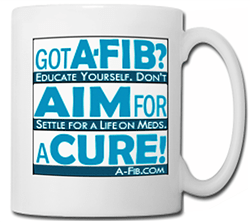 Remember: Don’t settle for a life on meds. 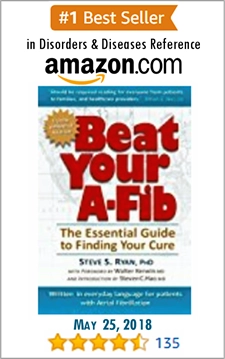 Seek your A-Fib cure. 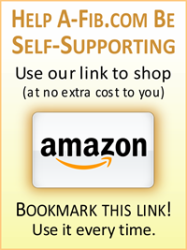 Won’t you send us an email and let us know how we are doing?